BEFORE SENDING THE nine jurors out to deliberate yesterday, the judge in the Michaela McAreavey trial told them not to worry about what ramifications any verdict may have on the reputation of Mauritius. Prithviraj Fekna reminded the six men and three women that they were not politicians and it was not their job to protect the image of the country. The economy of the tiny Indian Ocean island relies hugely on its tourism sector and the spotlight on the killing of the Irish schoolteacher and the subsequent murder trial have impacted somewhat on the industry. Nearly one million tourists are expected each year, leading to the employment directly or indirectly of about 100,000 citizens and making up more than a quarter of the economy. Back in January last year, the honeymoon destination saw a temporary dip in popularity and the number of visitors from Ireland dropped by about 750 people in 2011, according to figures obtained by the Daily Telegraph. There was also a noticeable fall in the number of tourists travelling from the UK in the 12 months following the murder. The acquitted men in the case, Avinash Treebhoowoon and Sandip Mooneea, were workers at the former Legends Hotel where the McAreaveys were spending their honeymoon. Following the verdict, both said they were “very sad” about the Irish lady’s death but were happy that they were found to be innocent. The Harte and McAreavey families issued a statement yesterday afternoon in which they said there “are no words” to describe the “devastation and desolation” they feel following the harrowing eight-week trial and subsequent verdict. 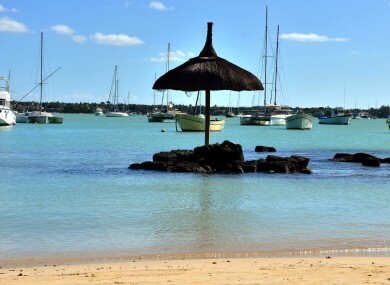 Irish people seemed to share in their anguish, and a subsequent call for a boycott of Mauritius gained legs across social networking sites throughout the night. Hashtags inspired by the ‘not guilty’ verdict included #BoycottMauritius and #JusticeForMichaela. Dave McGinley (@dcr22B) also showed his dismay over the investigation: #BoycottMauritius Justice must be found for the Harte and McAreavey families. Disgusted at the absolute ineptitude of police/prosecutors. Mickey Harte, one of the most well-known and well-liked managers in football, has remained in the public eye since his daughter’s death as he continues to look after the Tyrone team and, yesterday, some of his players shared their disappointment. Cathal McCarron said it was a “very sad day for Mickey and Johns family’s”. “No justice…I’m sure there in everyone’s thoughts,” added the Tyrone footballer. Mark McHugh from Donegal added his voice to calls for a boycott of Mauritius, calling on his followers to get the hashtag trending. Email “Not guilty: Ireland reacts to Michaela McAreavey trial verdict”. Feedback on “Not guilty: Ireland reacts to Michaela McAreavey trial verdict”.